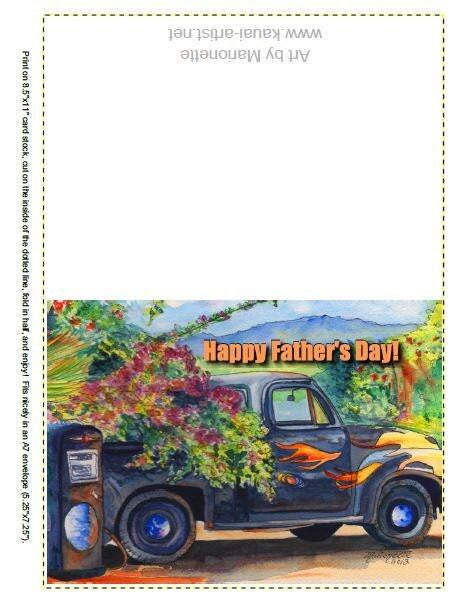 This is a "print it yourself card" measuring 5"x7" when folded. What you are purchasing is a PDF file that will be available for immediate download once I receive your payment. Once you download the file, open it with any PDF reader (most people use Adobe Reader), print it out on 8.5"x11" card stock, cut on the inside of the dotted line, fold in half, and enjoy! 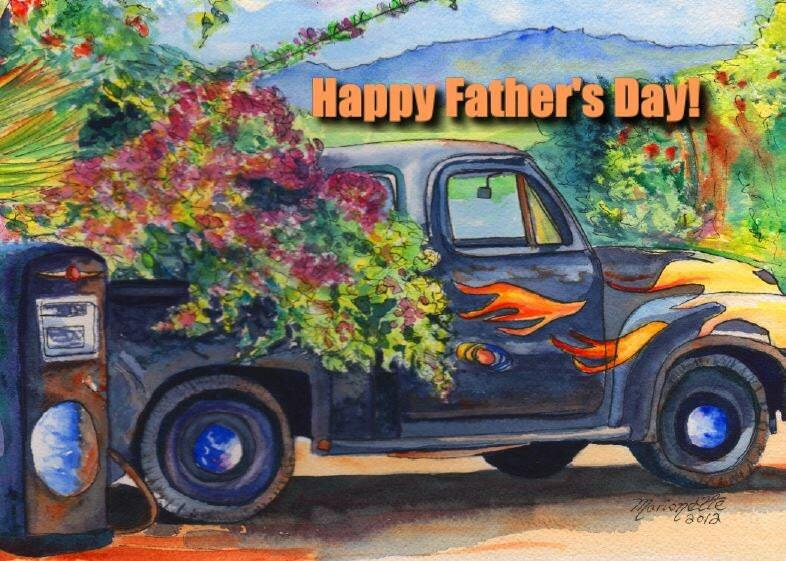 This card is blank on the inside (so you can personalize it with your own message to your Dad), and it fits nicely in a standard A7 envelope (5.25"x7.25"). The color of the card may vary slightly depending on the settings of your printer or monitor. This card is for personal use only. You may print it out as many times as you want, but it is not for resale. The artist (me) owns the copyright on this image. Very nice artwork! Loved it!